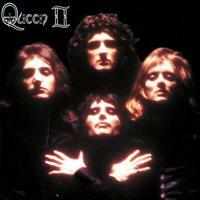 The second Queen album, this has a lot of great music. It’s definitely recognizable as Queen, and a lot of the trademarks were already set. This album doesn’t get the level of attention that some of the later albums do. I’d say that’s a shame because it’s an excellent set. Although guitar based, this instrumental is quite classical in nature. That lands it squarely under progressive rock. The bulk of this, although hard rocking, lands somewhere in the vein of melodic progressive rock. The middle section, though, is fiery and ferocious. I’d almost consider it heavy metal. It makes great use of stereo separation and the guitar solos. Then it drops way down for a mellow vocal section and works back into the prog territory. Although it has more powered up moments, this is a mellower number. It’s another that’s definitely prog. Freddy Mercury’s vocals really make this work, but that’s not to downplay the awesome music. There are some great acoustic moments and layers of sound over the top. I love the melodic, almost folk prog nature of this cut. There are some hints of psychedelia in the mix, too. Brian May’s guitar soloing is particularly tasty. This is a mellower number, but does get powered up a bit. It’s also trademark Queen. This hard rocker really doesn’t sound like Queen. Of course, a large part of that is because the lead vocal is by Roger Taylor. That said, it’s kind of a great psychedelic rocker. The opening section here has some real space, symphonic prog tendencies. The cut powers out from there into some really fast paced, ferocious jamming. The cut continues from there with more mainstream song-like movements alternated with that hard edged stuff. This is definitely a progressive rock piece as far as I’m concerned. It gets very intense at times. If they didn’t say on their albums that no synthesizers were used, you’d think there was some synth here. This is a fast paced rocker. It’s definitely progressive rock. It has some great layering and interplay between different vocal sections. It’s a killer piece that’s one of the best here. It’s also trademark Queen. Piano joins at the end and segues into the next song. This is a piano and vocal ballad (at its core). It’s pretty and the added layers of vocals lend both magic and sounds that are very definitely Queen. This is a fairly short piece. There are some other instruments added to the mix near the end of the piece. Eight and a half minutes long, this is an epic piece. It’s also a powerhouse that represents Queen better than just about anything else here. It has all the trademarks we would later come to expect from them. It has the complex arrangement, the hard rocking sections layered with sounds counter-balanced with the mellower ones. It’s got a wall of vocals at a lot of times. The trademark Brian May guitar sound is firmly in place. This is just such an awesome piece of music. It’s one of the highlights of the set. Coming out of the previous one, this is sort of a Queen psychedelic rocker. It’s good, but not really all that special. Starting with piano, this works out to a galloping rocking sound. The cut has a lot of that psychedelic rock vibe. It’s a strong one, but again, not one I’d really consider a highlight. Of course, “The March of the Black Queen” kind of set the bar high for everything that follows it.